Would you like to gain valuable research experience and participate in community engagement activities BEFORE you start your Medicine program? 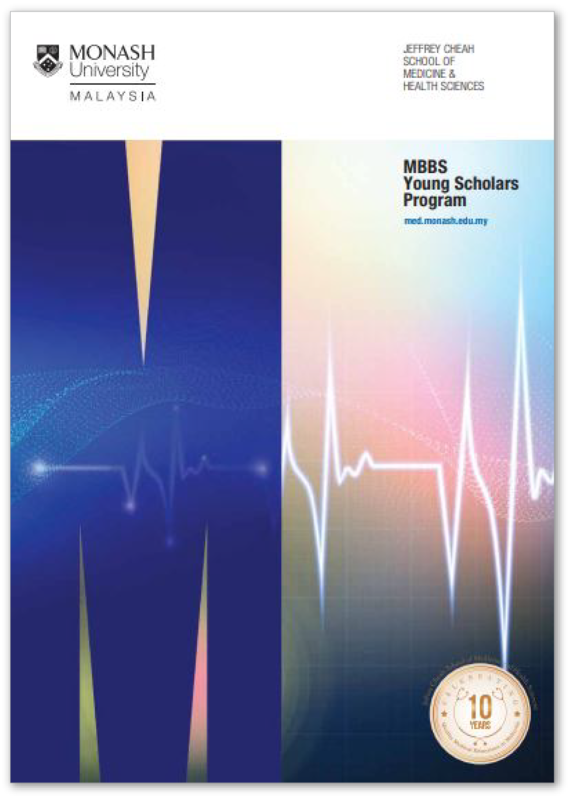 The Young Scholars Program (YSP) is a short-term internship that offers unique experiences to a selected few of our most outstanding aspiring medical students before the Bachelor of Medical Science and Doctor of Medicine (MD) course begins in March 2019. You will have an opportunity to participate in research projects undertaken by the staff at the Jeffrey Cheah School of Medicine, Monash University Malaysia. The scholars will be placed with researchers at the school in Sunway, Brain Research Institute (BRIMS), Clinical School in Johor Bahru or in Segamat where the South East Asia Community Observatory (SEACO) community research project is located. Early exposure to research culture will give students a greater appreciation for medical research and the innovations that shape the medical profession. The staff and students at the School of Medicine are also closely involved with a number of outstanding community partner agencies and their activities. Selected scholars will have the opportunity to engage with our partner agencies/NGOs together with the staff and senior students in the school. Early exposure to community activities offers experiential learning through meaningful engagement, connectedness with local and wider communities and, development of reflective practice. Successful candidates will be paired with supervisors, who are experts in their respective fields and receive one-to-one supervision on their research or community engagement activities. They will be able to work with leading scholars in state-of-the-art laboratories and work with communities on the ground as they conduct their research and measure impact. In addition to close supervision by the supervisors, students get weekly instruction sessions on research methods and analysis that will be conducted by staff and young researchers. To be eligible to apply for the Young Scholars Program, a candidate must have been offered a full offer / conditional offer for the Medicine program by Monash University Malaysia.